Don’t be fooled into thinking that publishing is a dead-end career. Professionals within the publishing industry have never been more in demand. The only problem is that modern publishing jobs are less glamorous than people outside the industry may realize, but that doesn’t mean that they’re any less vital or rewarding. You may roll your eyes at the idea that being a proofreader could be one of the hottest careers to pursue in 2019, but qualified proofreaders are a scarcity these days. You can try proofreading companies, local adverts, freelance websites, but what you will find is that hundreds of them are either too sloppy or are too booked to take on your work. Amateur and professional writers alike have always needed proofreaders, because writers are too close to the work to see its flaws easily. Recently a new critical aspect of proofreading has arisen: cleaning up grammatical errors made prevalent by social media and autocorrect. Resume Writing Services Resumeble made the point that even resume proofreaders are in demand because simple grammatical errors, such as those seen so often on social media, are costing people job opportunities. Would you hire somebody who wrote “Your” instead of “You’re”? The job of content or copy editor is a rather important one. Your job would be to tailor the copy or content to suit the needs of your employer, which filters down to determining how pointed or effective your content’s message is. Content and copy editors are more popular than ever thanks to the overt bias in today’s media, which goes all the way from creating progressive content that sways viewers into having certain opinions, all the way to making sure one product looks far superior to its competitors despite the fact that it isn’t. Skilled editors can take the same neutral movie review and sculpt it into a positive or negative review based on what the client or employer desires. 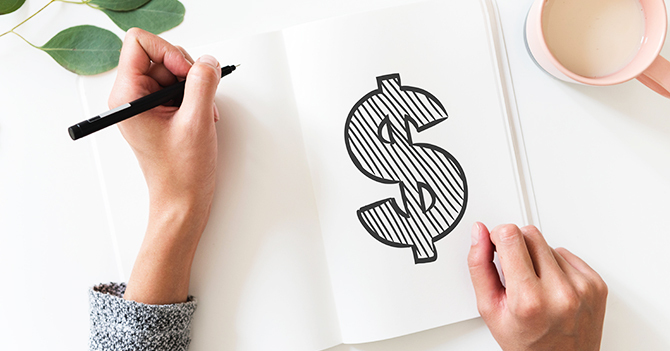 Freelance writers do not have the budget or time to go project hunting all the time, and writing mills need dedicated literary agents to keep the work rolling in and keep the orders flowing out. While it is possible to self-publish, a writer of fiction or non-fiction requires a literary agent to make deals on their behalf with the publishing houses. In fact, most publishing houses refuse to deal with writers without a professional middleman to make the pitch on their behalf, and what a noble job it is to have to help in making someone’s dreams come true. Being a web content promoter is probably the most diverse profession on this list because it can mean a whole bunch of things. It can mean you are driving traffic with affiliate advertising, or it can mean you are posting funny videos on YouTube to push a new web service. Nevertheless, people want their content pushed onto target audiences, which is why web content promoters are needed and are in demand. Think less in terms of copywriters like Darrin Stephens from the kitschy TV show Bewitched, or Jerry from Rick & Morty, and more like Amazon descriptions, landing page openings, and even email writing. The most frequently requested tasks and jobs are not glamorous, and they often call for very little creativity, but the fact is that the world needs writing that sells clickable content in emails and product descriptions that succinctly get to the point with a predetermined number of words. 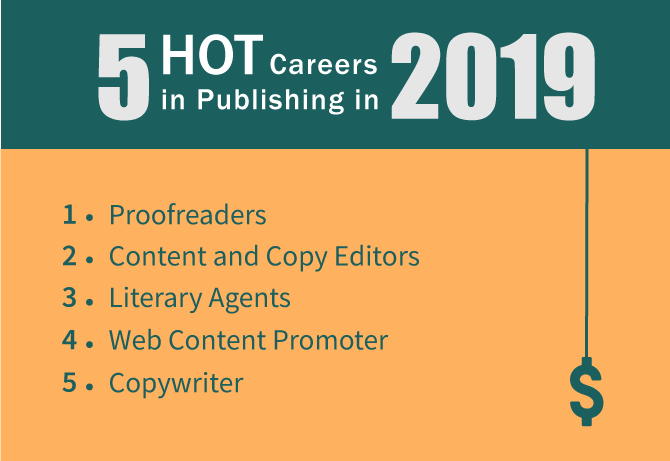 The idea that these careers can be considered as hot careers in 2019 may seem a little anticlimactic for an article about the hottest careers in publishing to pursue, but that is where the market has taken us. The marketplace is overstuffed with proofreaders, and yet the quality of proofreaders varies. The same can go for good literary agents, content and copy editors, and copywriters. Even web promotion, it might seem like a strange addition to the list, but hot careers are made when it comes to market demands being met with the use of a particular set of skills. Making it in the job market while staying within the frame of what you like when it comes to writing might not be as difficult as you may have thought, so give it a good thought. Kotobee is the complete end-to-end ebook solution for you and your business. Export multiple formats. Deliver securely. Emily Anderson is a blogger with a professional background in journalism and recruiting. She is an expert in modern technology trends. She is also fond of various online blogging styles. Connect with Emily on Google+. Who Will Be the Narrator in Your Next Novel?